As Apple & Google drive 'domain name frenzy', what about everyone else? Once upon a time, if you were registering a site for your business the most important thing was making sure it was easy to remember when it comes to the left side of the dot. 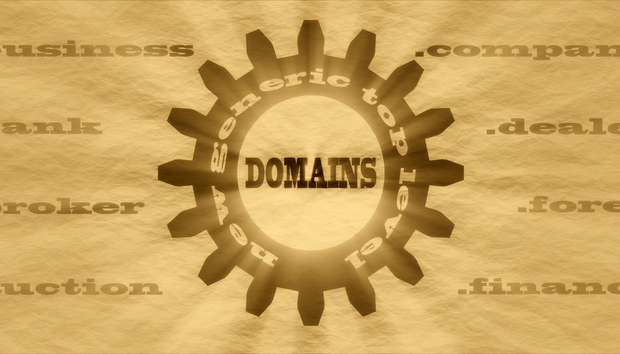 Most sites end up with generic top level domains (gTLDs) like .com or country codes like .co.uk. That has slowly begun to change in recent years with the availability of dozens of new gTLDs. Domain names can reveal a lot about a company’s identity or what it is planning. Apple for a long time has been tipped to be working on its own car to go up against Tesla and Google’s autonomous vehicles. The company has reportedly registered domains for apple.car, apple.cars, and apple.auto. Whether these will be actual sites or Apple has decided to reserve them so no one else can remains to be seen. The growing variety of TLDs isn’t new but in recent years their possibilities have become more evident as marketers become aware of what a unique domain can do for a brand’s digital identity. For example, the .US ccTLD (country code top level domain) was introduced in 1985 but never quite took off. But when Google launched its new parent company Alphabet and the website abc.xyz, the popularity of .xyz skyrocketed. According to figures, it recently became the sixth most registered top level domain ever. A domain extension like .xyz provides a catchy domain extension that’s much more memorable than say the traditional .com or .co.uk. ICANN (Internet Corporation for Assigned Names and Numbers) continues to release new top level domain names like .law or .music but the uptake hasn’t been overwhelming. Nick Wood, managing director of domain name management firm Com Laude, recently stated that “it has been a slow start” for new gTLDs. He noted that there have currently been around 11.5 million new gTLD registrations, which pales in comparison to the hundreds of millions of legacy domain registrations. Nevertheless, he expects that 2016 will be the defining year with some “blockbuster” domains set to launch. The .family domain is one of the latest domains names to become available. Rightside, the registry that acquired the domain last year, says it has seen a huge uptake from large brands like Amazon and Apple, in what is called the Sunrise Period. This is a time period where trademark holders are made aware of new domains before general availability. To access Sunrise Periods, you need to be registered in ICANN’s Trademark Clearinghouse in order to verify yourself. It’s also a mechanism to prevent trademark infringement. At this time though it’s unknown what exactly Apple and others will be doing with their newly-minted .family domains. “Hopefully, from my perspective, they do something big because consumer awareness is still at an all-time low when it comes to new TLDs. It takes a brand using these new top level domains to really propel TLDs into the consumer spotlight,” says Statton Hammock, VP of business and legal affairs at Rightside. These domains can be used to drive traffic to specific content he says, which can have a huge impact on marketing tactics. When it comes to registering domains, it can be a little more accommodating for large brands. In the case of startups, they may have more options to secure their digital identity, but for budding companies with tight budgets, buying up and managing many domains can be cumbersome. It means young companies need to be smart in choosing domains that accurately depict their business while also being memorable. There are several other examples. In January the .wine and .vin domains were launched and targeted at wine makers while .feedback is available for customer services. The pace that gTLDs are coming online is only quickening, meaning more and more very specific domains. With more domain name possibilities out there, it can become difficult to determine what the best domains are for your company are. But what about the issue of trademark infringement? The most commonly used remedy is the Uniform Domain-Name Dispute-Resolution Policy (UDRP). This resolution process was set up by ICANN to allow trademark holders to challenge domains registered in bad faith. Through the UDRP, a brand or company can submit their claims to an arbitration panel that will decide on a result such as transferring the domain to the trademark holder or cancelling the domain. In one recent example, Volkswagen in Germany was transferred from the domain volkswagen.rocks after it was first taken by a registrar in Austria. Rightside itself offers its own remediation service called the Domain Protected Mark List (DPML), which is a protection mechanism that warns brands or startups if their names or terms have been registered for a domain. A newer option is the Uniform Rapid Suspension (URS). “That’s like a super-fast, cheap UDRP for the most egregious cybersquatting cases or trademark infringement cases. If you prevail in that proceeding that name comes down within a few days,” says Hammock. ICANN recently added a third URS provider, its first for Europe, to see oversee complaints. Some of these more “egregious” cases tend to involve cybersquatting, where someone has clearly registered the domain in bad faith, usually with the intent to sell it on at an inflated price. On the other hand, something like Apple.food is open to interpretation so not every domain claim is a totally cut and dry case and something that brands and startups alike need to keep in mind.